What is the primary problem with 18th century European absolute monarchies? They concentrate so much power into the hands of the king (or kaiser, or czar, or roi, depending on where you are) that this person can single-handedly subvert and corrupt the state. In an old-school European absolutist monarchy, the extent to which the state is corrupt is determined primarily by the character of the ruler. Moreover, because these monarchies were usually hereditary, there was no procedure for replacing an especially corrupt monarch aside from revolution. This did not exclusively turn out badly–there were a number of the so-called “enlightened” monarchs, whose rule was relatively benign by 18th century standards (Frederick the Great is usually the go-to standard bearer), but it was all too common that these benign monarchs would spend too much time ruling and too little time parenting. Sooner or later, absolute monarchies would fall into the hands of someone corrupt and/or incompetent. Once that happened, it was very difficult to do anything about it within the legal framework of absolutism. Even once the corrupt leader died, he would often leave behind poisonous culture within the civil service that would take many years of splendid governance to wash out. Louis XIV was the Sun King, but Louis XV allowed his ministers and civil servants to pillage the state’s coffers and run France into expensive military failures. Louis XVI was well-meaning, but was too little too late. Louis XV ruled for 59 years, enough time to do nearly 15 presidential terms worth of damage to France and to the French system of government. Separation of Powers–the legislative, executive, judicial branches would each be run by different people, so that no one individual would be powerful enough to corrupt the entire system alone. Elections and Terms–legislators and executives (governors and presidents) would be elected every few years so that the people could eliminate corrupt officials before they would have the opportunity to do too much damage. These policies ensured that the United States could not get a Louis XV for half a century, but they created unintentional perverse incentives. 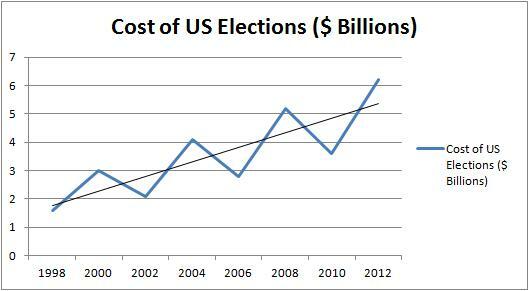 Bartels’ data does not cover the more recent period, but I suspect this inequity in concern for the interests of citizens has only grown as election costs have grown. Because elections are so frequent (particular in the house, where they occur every two years), elected officials must always vote with the next election in mind and therefore they must always give undue concern to the interests of those citizens with more to contribute. We often hear campaign finance reform touted as a solution to this problem, but even if we were to introduce a hard cap limiting campaign spending to $2,500 per person per year, a high income voter would be much more able to contribute $2,500 each cycle than would a voter who earns less than $35k per year. Even under the extant system, most donors cannot give more than $200. To make matters worse, it is very difficult to pass meaningful structural reform to the political system because the entire political class consists of beneficiaries of the current system. Under the current system, incumbent politicians are usually re-elected more than 80% of the time. Any substantive alterations to the system of politician selection potentially threaten their job security, so they are highly unlikely to enact them. Even when they do so, the Supreme Court (which elected officials appoint and confirm) is likely to strike down any serious effort to limit political spending on free speech grounds. The court recently struck down a very modest cap which limited the amount an individual could donate to campaigns to $48k in every 2-year period, much higher cap than the $2,500 figure I discuss above. Even when an exceptionally reform-minded politician takes office, his chances of achieving anything are slim because the founders have so efficiently separated the legislative, executive, and judiciary powers that no individual politician or small group of politicians can overcome the system’s entrenched habits. Instead of having corruption personified in the king, we have deep systemic corruption that persists independent of who is playing. Time and again we see presidents and governors vow to bring hope and change. When they get elected, they find that they lack the legal authority and power to bring about those changes. To accomplish anything at all, they are forced to assimilate, to play the same game everyone else is playing. But does the public blame the system for this? No–instead, the politicians themselves receive the blame. 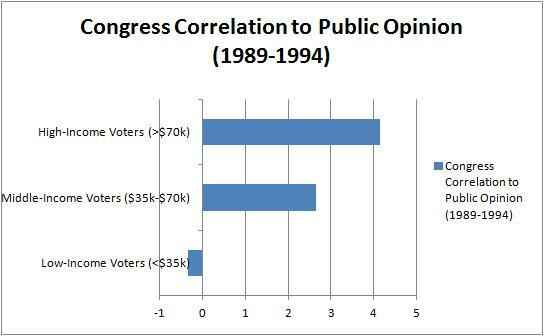 Americans hate congress, they hate the president, but they love the system that makes the congress and the president act the way they do. Now, let me be clear–don’t get it twisted–I’m not calling for a return to 18th century European absolutism. But we don’t have a government that shows equal concern for the interests of citizens. We have different corruption, but corruption all the same. If we want to fix the system, we need to respond to the corruption of our day the same way the founders responded to corruption in the 18th century–by designing new institutions and structures to counter it. Sophiarchism is my attempt to do just that, and you can read about it here.